THE GOG BLOG by RORY SPEARS, Director of Content and Creation, follow Rory on Facebook, Linkedin and Twitter @GogBlogGuy. 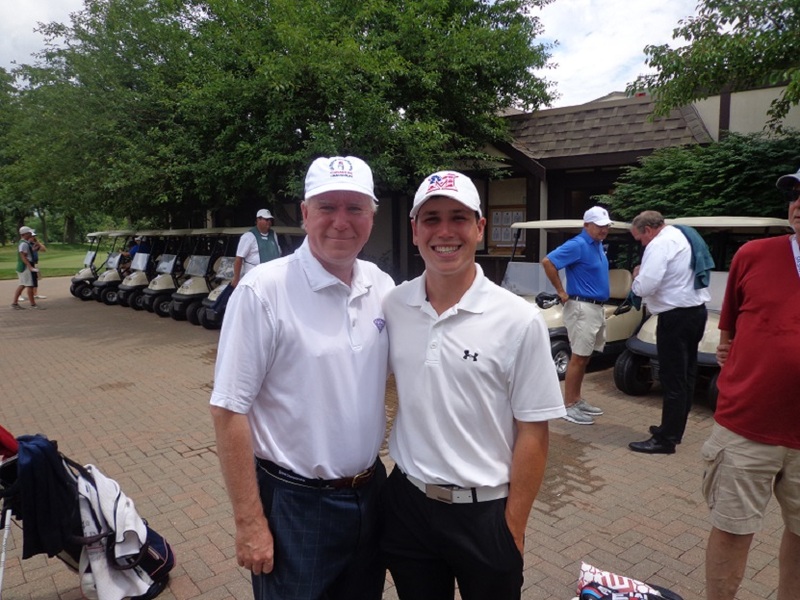 With Patrick Flavin who is competing in the Western Amateur this week. IT’S WESTERN AMATEUR WEEK at the Sunset Ridge Country Club. Round one is in the books, and there is a 3-way tie for first place at 8 under par. Plenty of players broke par, including local favorite Patrick Flavin of Highwood, the reigning Illinois Open Champion who shot a four under par 67. A round he called solid, and a good start. This Western Amateur is the last one in the area until 2021, when it returns to the very first course in Western Amateur history, the Glenview Club. So get out and enjoy this championship at Sunset Ridge CC in Northfield before it wraps up on Saturday afternoon. the defending champion Norman Xiong has turned professional so there will be a new champion crowned this weekend. On Friday and Saturday the Western Amateur ventures into the world of online streaming. Great idea, see Westernamateurchampionship.com for details on where to see it. I will check in for the first time this week, tomorrow for Round 2. ILLINOIS PGA EXECUTIVE DIRECTOR CARRIE WILLIAMS joins us in studio this Saturday morning for the live segment of Golfers on Golf Radio Am 750 WNDZ from 10-11 Am. Topics covered will include next weeks Illinois Open at the Glen Club and Ravina Green CC. 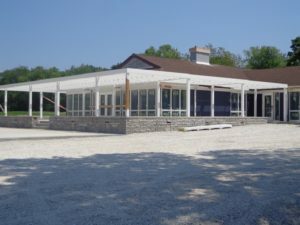 The upcoming Centennial PGA Championship at Bellerive Country Club in St. Louis, the Illinois PGA Section, and other programs the IPGA is supporting. CHICAGOLAND GOLF’S August issue hits the clubs and golf retail stores this week. 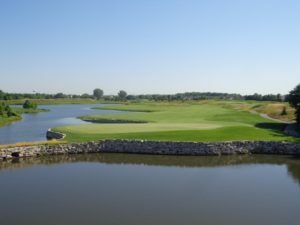 I have a story regarding the reopening of the Schaumburg Golf Club’s first nine holes (of 27), and departure of the Western Amateur to Point O’Woods in 2019 and Crooked Stick in 2020. CONGRATULATION’S to Northwestern Alum Hannah Kim the recent winner of the Phil Kosin Illinois Women’s Open at Mistwood Golf Club, who this past weekend won her second straight Women’s State Open, when she recorded a one-shot win in the Tennessee Women’s Open. Kim is headed to the LPGA Q-School this fall. BIG 3 partner Len Ziehm and I will review all the new improvements at the Schaumburg Golf Club this Thursday morning, stay tuned. Len and I are saddened at the news that former PGA Tour player Jarrod Lyle is in his final days. Lyle a really good guy, deserved better than three rounds of fighting cancer and later Leukemia in life. Our thoughts and prayers go out to his wife and two daughters. Len and I had Lyle as a media day partner at the Glen Club in 2008, on a cold and snowy day. Our picture still hangs in my home. Last week while on the air the news broke that Bruce Lietzke has passed away from brain cancer. Lietzke who I enjoyed interviewing back during the Western Open days was always to golf and cars with. Lietzke was 67, and a 13 time winner on the PGA Tour, that included two wins in the Canadian Open. 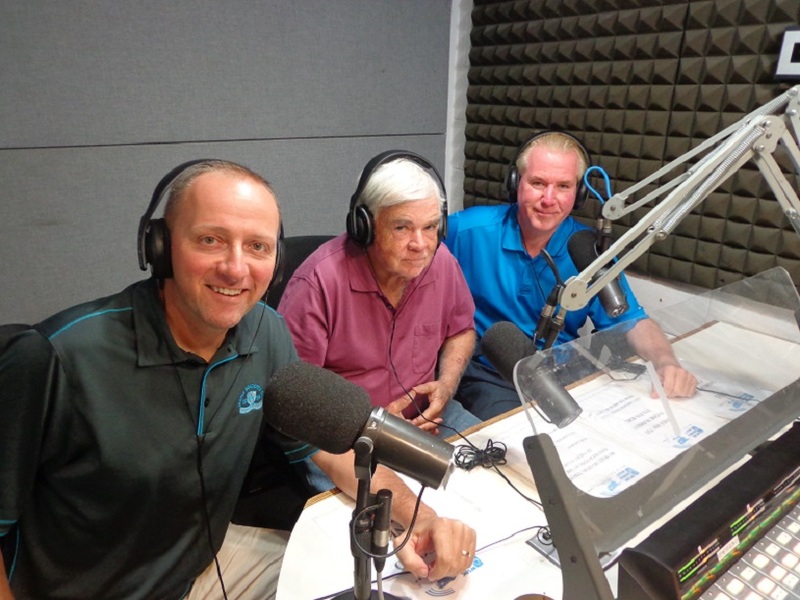 This week Len, Tim Cronin and I are looking forward to the Western Amateur, and the fact that there is no other tournament to cover this week. Amazing, and entire week without a scheduling conflict. GOOD NEWS from Pinehurst, Course #4 renovated by Gil Hanse will reopen on September 20th, right about the time the new brewery opens as well. Timing is everything. 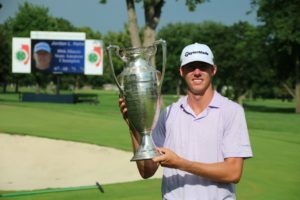 THE GOG BLOG by Golfers on Golf Director of Content and creation Rory Spears, with 2017 Illinois Open Champion Patrick Flavin who is in this weeks field at the 116th Western Amateur. Follow Rory on Twitter @GogBlogGuy, and Facebook, Linkedin and now Instagram. The 116th Western Amateur at Sunset Ridge Country Club in Northfield IL. There are some that call the Western Amateur the Masters of amateur golf, and they might just be correct. One thing that you can say about the Western Amateur, is that this test of golf, is more than just a test of golf, it’s a test of endurance. As the two finalists will play 72 holes of stroke play, and then need to win four matches of match play. Toss in a pre-championship fund raiser, and a practice round day, and that is plenty of golf. At the Masters the old saying is that the tournament starts with the back nine on Sunday. At the Western Amateur it starts before then, but it ends on the back nine on Saturday afternoon. 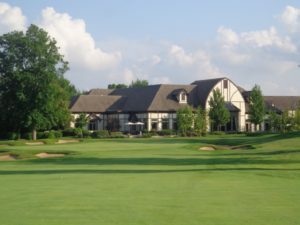 Sunset Ridge Country Club got the call from the Western Golf Association when Exmoor Country Club in Highland Park had to withdraw to due it’s hosting the Senior Players Championship last month. WGA Sr. VP of Tournaments Vince Pellegrino says the Western Amateur will return to Exmoor in the year 2022. The Western Amateur concluded a long run at the Point O’Woods Country Club in Benton Harbor Michigan in 2008, and returned to the Chicago area at Conway Farms in 2009. Now the Western Amateur will conclude it’s almost decade long run in the Chicago area (-2013 when it was played in Arkansas) and return to “The Point” in 2019. 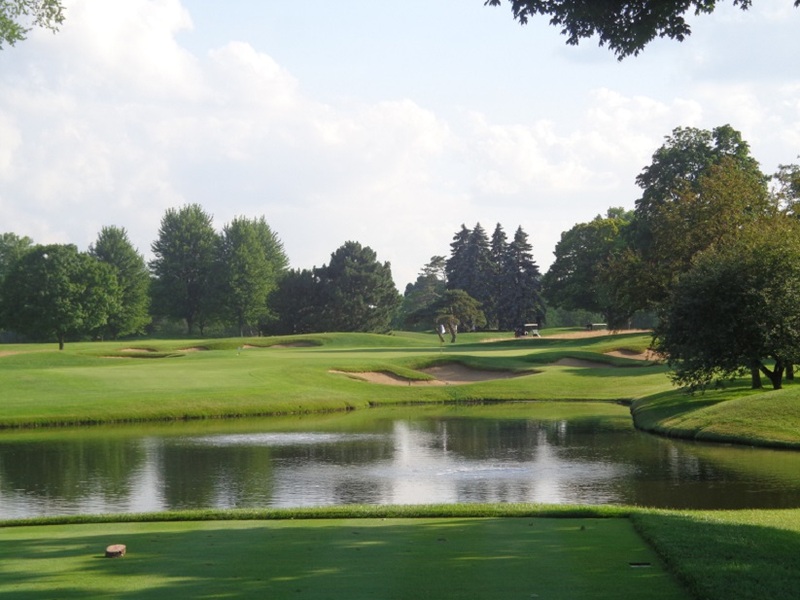 The championship makes a pit stop in the Indianapolis market in 2020 at Crooked Stick, before returning to it’s first host in 1899 the Glenview Club in 2021. The Sunset Ridge Clubhouse from a view on the 9th hole. Past Champions include Jack Nicklaus, Phil Mickelson and Scott Verplank who spoke about the championship on the events recent media day. This year the championship is not lacking a strong field. Braden Thornberry the World #1 Amateur heads up this powerful field. Thornberry from Ole Miss, won the 2017 NCAA Championship and was fourth more recently in the Fed Ex St. Jude Classic on the PGA Tour, playing as an amateur on a sponsors exemption. The Par 3, 8th hole at Sunset Ridge Country Club. The strong field also consists of players like Collin Morikawa a 2017 Walker Cup team member Texas A&M team member Chandler Phillips, Oklahoma star and 2017 Western Amateur sweet Sixteen player Brad Dalke, and 2018 SEC Championship winner from the Florida Gators Andy Zhang. Players with local ties include 2017 Illinois Open Champion Patrick Flavin, 2018 newly crowned Illinois State Amateur Champion Jordan Hahn, and Andrew Price of Lake Bluff. 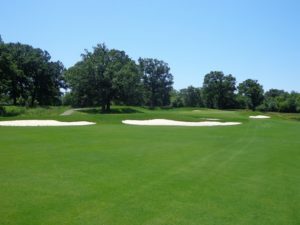 Sunset Ridge was opened in 1923, and the golf course was designed by Bill Diddel one of the founding members of the American Society of Golf Course Architects (ASGCA). Diddle was known as a protege of Donald Ross and later was a mentor to Hall of Fame course designer Pete Dye. Architect Rick Jacobson did renovation work on the course in 2006, and Golf Magazine named the project the best Private Course renovation of that year. Sunset Ridge has had 32 caddies become Evans Scholars, one former Sunset Ridge Caddie was Peter Ueberroth who went on to run the Olympics and was the commissioner of Major League Baseball from 1984-1989. Ueberroth was inducted into the caddie hall of fame in a dinner last night at Sunset Ridge. The Western Amateur will have live streaming on Friday and Saturday of the Championship during the match play on GolfChannel.com and the Golf Channel mobile App, and at westernamateurchampionship.com. Sunset Ridge will play as a par 71 for the championship and at a yardage of 6,823. The field of 156 players will be cut to the low 44 and ties after 36 holes on Wednesday. Thursday will be a 36 hole stroke play day, with the low 16 players advancing to Fridays start of match play. The final four players remaining will play on Saturday with the championship match starting in the noon hour Saturday afternoon. Admission and parking are free of charge, so come enjoy the last Western Amateur Championship in the Chicago area until August of 2021. THE GOG BLOG by RORY SPEARS, Director of Content and Creation. Follow Rory to this weeks Western Amateur, and on Twitter @GogBlogGuy, and on Facebook, Linkedin and Instagram. 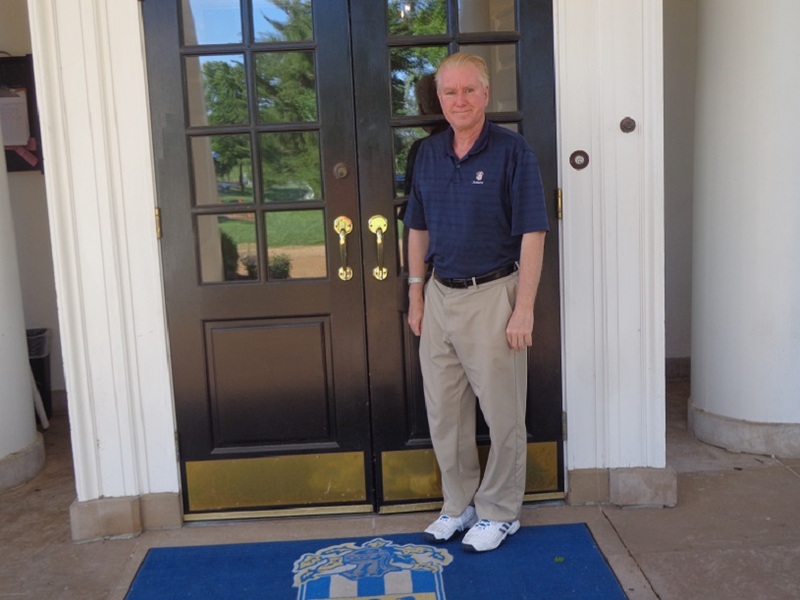 In front of the Bellerive Country Club clubhouse, home of the 100th PGA Championship August 9-12. OUR LATE EDITION IS HERE! Editors note *** I’m on the comeback trail from eye surgery, and I am starting to see again. As a result I am looking forward to getting caught up on the golf beat. THE FRENCH LICK RESORT is asking you if your ready for a great buddies golf trip to southern Indiana. 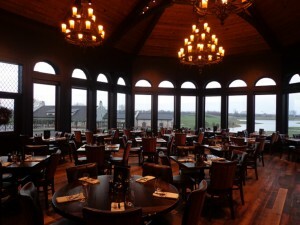 if it’s time to take that trip, with the guys or the gals, then it’s time for you to check out Frenchlick.com and get it booked. The Pete Dye, the Valley Links and the Donald Ross Golf Course await your names on the first tee. 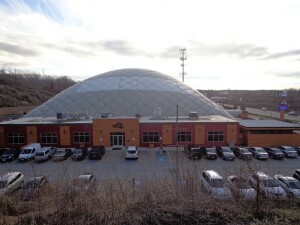 Hit the spa, the casino the and the restaurants. The French Lick Resort is waiting for you. Go hit it. The second annual Sr. LPGA Championship is returning to French Lick this October. Don’t miss it. ERIN HILLS is offering up their PGA Ambassador Rich Tock on their website Erinhills.com to show you on video how to play the famed par 5, 18th hole that 2017 PGA Championship champion Justin Thomas hit Driver-3 Wood and got home in two from over 600 yards in his record setting third round of the U.S. Open. Watch Tock show the mortals how to play the 18th hole, and maybe you like Thomas can play the hole under par in route to your best round on a U.S. Open golf course. (866)-772-4769 for tee times and booking overnight stays. While at Erin hills don’t forget to try the new Fescue Rescue, a drink that you need to try at least once. The recipe is on the Erin Hills website check it out. EXCLUSIVELY @9 is now the only company offering season-long, daily opportunities for golfers to win exclusive product. Make an ace, or sink a big putt, Exclusively @9 could be there to record it for you and give you an outstanding prize. For more details see Exclusivelyat9.com to learn more. THE WESTERN GOLF ASSOCIATION has announced live streaming of this weeks 116th Western Amateur at Sunset Ridge CC. Starting with the Sweet 16 match play on Friday and into the championship semi-finals and finals on Saturday August 4th. The live stream can be seen at GolfChannel.com, the Golf Channel mobile App. and the tournament website westernamateur.com. David Marr III and Scott Walker will call the action being produced by Thaler Media of Palm Beach Florida. Play at the Western Amateur begins on Tuesday. The field is cut to the low 44 and ties after Wednesday’s round and the completion of 36 holes. DATELINE PEBBLE BEACH, Youth on Course, an organization that is seeing record-breaking growth to help provide affordable golf access, is still growing within the state and regional golf association partnerships, having an increase of 120% in the last 18 months. During our calendar year of 2018,more than 41,000 members are on pace to complete 115,000 at 900-pus golf courses across America. Youth on Course is now in 26 states and has a goal of $5 golf for kids in all 50 states. At the end of 2017 the numbers were 30,000 members in just 19 states. According to the National Golf Foundation in 2017, junior golfers ages 6-17 make up 11% of all players. In 2017 junior golf is up 12.5% since 2011. In 2018 there are 8 new partnerships, and Youth on Course is active in the State of Illinois. For more information please visit YouthOnCourse.org or call (831)-625-4653. Or visit YOC at major social media outlets. ROBERT TRENT JONES II Golf Course Architects, has unveiled the first championship golf course in Vietnam. Hoiana Shores will open in mid-2019. The course will be located south of the UNESCO World Heritage Site, Hoi An. Hoiana is a new multi-billion dollar development that will run over 4 miles of coastline. TITLEIST and SCOTTY CAMERON have introduced the new Cameron CX-01 and CX-02 putters, that will be in pro shops as of August 31st, and worldwide as of September 28. Concept X is a premium putter that offers two prototypes produced is limited quantities for players desiring a high level of performance. CX-01 has a “Nuckle Neck” with one shaft of offset. While CX-02 is designed with a low slant “Joint Neck” that helps create additional tow flow. The putters are a anti-glare Stealth Gray finish. Concept X is for the player that wants the feel and performance of a tour style blade-putter. For more information see Titleist.com or Scottycameron.com. The Gog Blog returns on Monday, with a preview look at the Western Amateur. 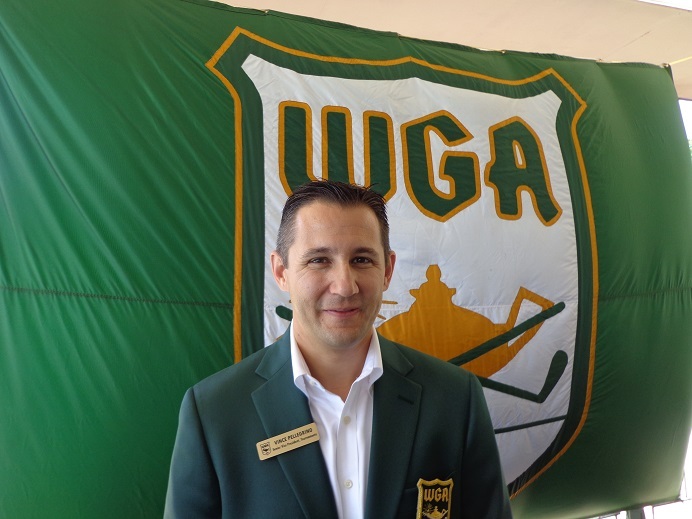 GOLFERS ON GOLF RADIO AM 750 WNDZ tee’s off this morning from 10-11 Am, our guest is WGA Sr. VP of Tournaments Vince Pellegrino, he will join us to discuss this weeks Western Amateur at Sunset Ridge Country Club in Northfield. The last Western Amateur in the Chicago area until 2021, come out and see the future stars of the PGA Tour. Admission and parking are free. THE GOG BLOG by RORY SPEARS,, Director of Content and Creation. Follow Rory on Twitter @GogBlogGuy, and on Linkedin, Facebook and now Instagram. TIME TO GET ON MY SOAPBOX and clean up a few things. I said a couple of weeks back when the question kept getting asked about having three tournaments within three hours of one another the same week and why would some organization or organizations or tours do that, that I was going to have something to say about it. Well here goes. It’s now been almost two weeks since what should have been one of the best weeks in golf in the state of Illinois turned into almost one of the worst. Why you ask ! well the problem is that ego’s get in the way and think their event can stand on it’s own, and who cares about anyone else. Regardless of what the organizations say for the record, the bottom line is that all three tournaments the week of July 9-15 that got played head-to-head got their bottom line affected by really, really poor scheduling. In all honesty, I’m still mad about how it all played out, and I am far from being alone. During the second week of July my column “Triple Play” broke down the three tournaments, in the end all three were played by the powers that be. So were the fans, the media, the volunteers or lack of them, and those watching at home with choices to make on the big screen. Question #1 seems to be, who is to blame. As of now the finger is pointing at the PGA Champions Tour for piling on a crowded golf week in the State of Illinois, since they were the last tournament to schedule the date. The PGA Tour that ying-yanged around the John Deere Classic, had not put them back into their normal week 2 of July so the USGA jumped in and took it. 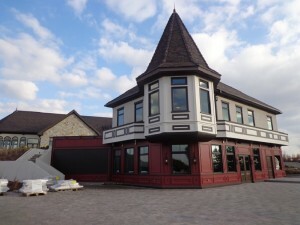 Then after one year in August, the JDC got moved back into July. It’s hard to fault to John Deere, but a little communication between the PGA Tour and the USGA could have avoided the mix-up. But communicate they didn’t. The USGA might have had the dates first, but even they are not locked into week 2 of July for a regular playing of the U.S. Sr. Women’s Open. Laura Davies who won the first one at the Chicago Golf Club, only gets to be the champion for 10 months, since the U.S. Sr. Women’s Open date for 2019 is now in May. 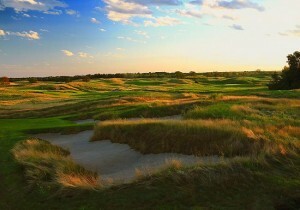 Where it can go head-to-head with the Men’s PGA Championship at Bethpage on Long Island. The women will play in North Carolina in Southern Pines near Pinehurst. I know it’s easy to say,can why can’t get everyone in the same room and get them talking with schedules in hand. Easy to say and hard to do. In fact in 2017 at the PGA Merchandise Show, many of the same people were in the media dining room one day, and none of them would move over two tables to speak with one another. Then came the bad news that some media days were going to get scheduled the same day five months later. i found myself playing go-between to keep that from happening. All three of our tournaments from two weeks ago ended up selling less corporate hospitality, all were short on volunteers, and ticket sales, and merchandise sales and most of all, fans. That might not get admitted to, but it’s the truth. While the media members who got stretched to far, all came up short in wallet and left regular employers scrambling to find other help. I didn’t enjoy missing the John Deere Classic for the first time in 30 years. All three tournaments deserved their own stage, instead of one that was shared and over-crowded. The second week of July was not the only screw-up. Two weeks earlier the KPMG Women’s PGA Championship came to town at Kemper Lakes, while the top women amateur players were competing at Mistwood. The Women’s Western Golf Association (WWGA) that ran it’s national amateur championship at Mistwood apparently is guilty of the piling on in this case. On a smaller scale, the Illinois Women’s Open also played at Mistwood last week, over-lapped with the Illinois State Amateur. Where does this end, it doesn’t. Next year there are some women’s events over-lapping including a round at the famed Augusta National GC, and the ANA LPGA major. The PGA of America Juniors and the USGA Junior Girls will crossover as well so I’m told. What’s amazing is when spokesman for various golf organizations are asked about conflicts, they will actually say something like this, “it’s the only day or days we could do it.” Really, they need to look in a mirror and realize how dumb it makes them sound. A major loss of credibility goes right along with it. Maybe what’s needed is to lift a tip from the airlines, who impose “Blackout dates”. So that once a market is spoken for, no other organization can schedule on top of them. I don’t know if that could be done or not, but common sense needs to start somewhere, but so far based on next year’s issues already on the calendar, it is not happening yet. THE GOG BLOG by RORY SPEARS, Director of Content and Creation. 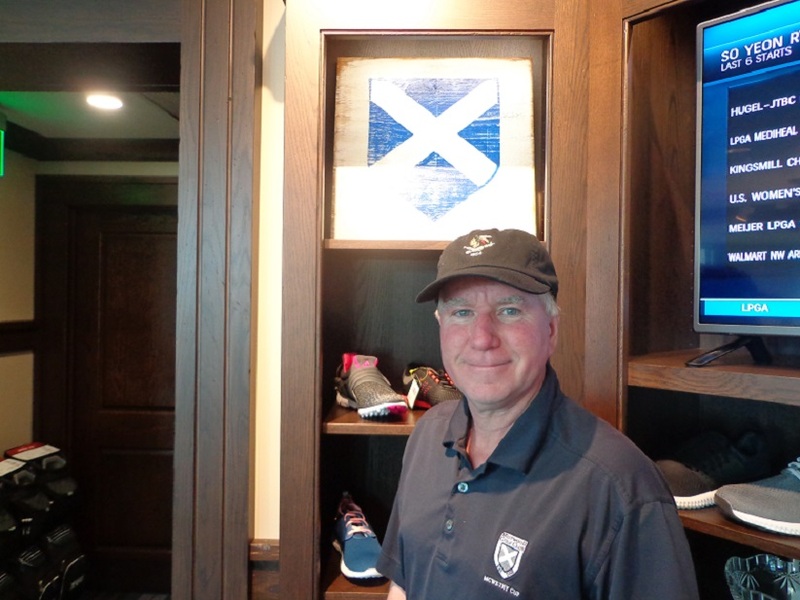 Follow Rory on Twitter @GogBlogGuy, and on Linkedin and Facebook, at Mistwood Golf Club. JORDAN HAHN sank a six foot putt on the 18th hole to win the 2019 Illinois State Amateur at the Bloomington Country Club in Normal. You have to forgive Hahn since he had a chance to win the amateur last year, but let a four shot lead get away during the final round. Hahn finished runner-up to Patrick Flavin, who missed the 36 hole cut this year in his title defense. 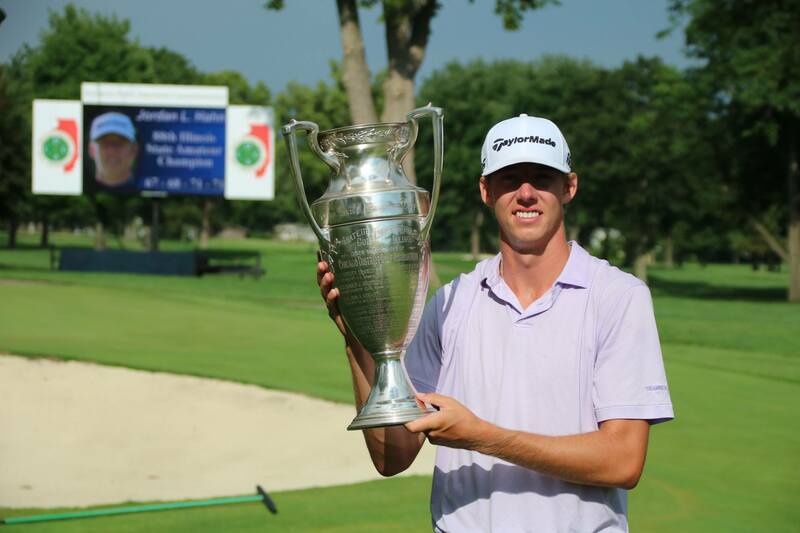 Jordan Hahn holds the Illinois State Amateur trophy at the Bloomington Country Club. Hahn finished at 3 under par (277) for the win, over runner-up Rob Wuethrich of Bloomington. Hahn almost looked to be heading down the same of defeat this year, when his six shot lead with nine holes to play started to slip away. Hahn carded bogey’s on holes 10,15,17 with Wuethrich made birdies on two of the last five holes, so Hahn went to 18 needing a par to win, and a par is what he recorded. Charlie Nakitas of Glenview was third at 1 under par. There was a three-way tie for fourth place at 1-over par between Daniel Gorman, Mike Henry and Illinois State Golf team member Trent Wallace. The 2019 Illinois State Amateur Championship returns to Cantigny Golf in Wheaton for a fifth time. The low 20 players and ties from this years championship are exempt into the field for next year. THE GOG BLOG by RORY SPEARS, Director of Content and Creation. Follow Rory on Twitter @GogBlogGuy, and on Facebook and Linkedin As of tomorrow this major is on the clock, at Bellerive Country Club. 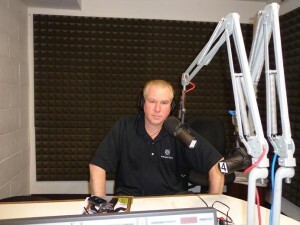 WHAT A FUN show yesterday with golf writer Len Ziehm. 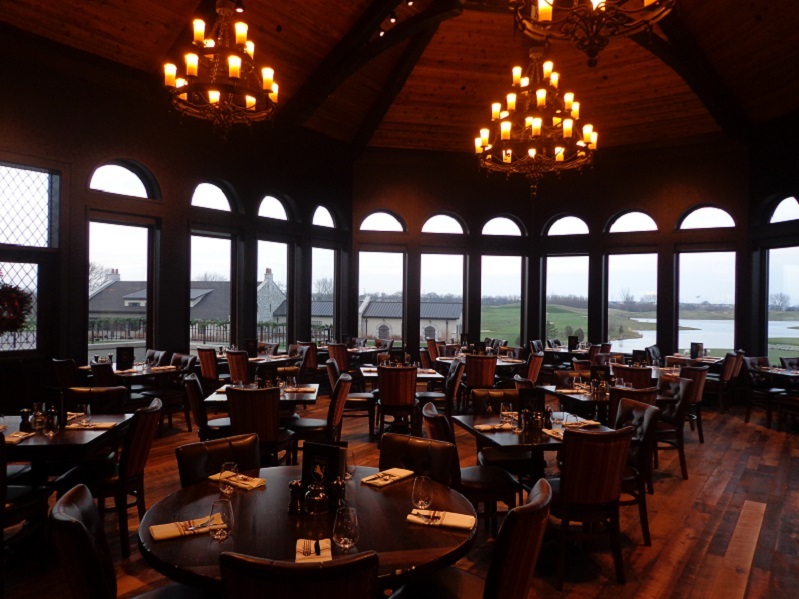 We covered four major golf destinations, including the French Lick Resort, Myrtle Beach, The Salamander Hotel and Resort Chain and the island Casino in the UP of Michigan, home of the brand new Sage Run Golf Club that opened last week. Next week our guest host is Vince Pellegrino Sr Director of Tournaments for the Western Golf Association (WGA). 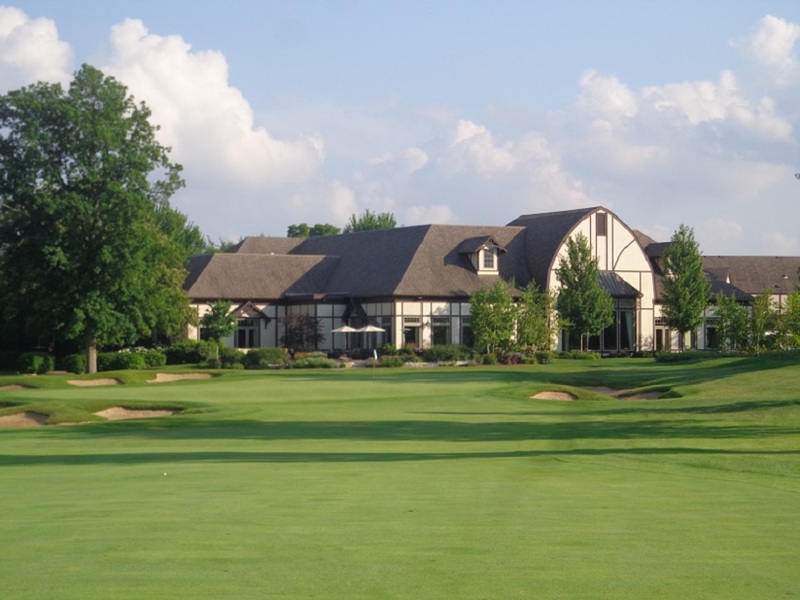 The Western Amateur will be played next week at the Sunset Ridge Country Club in Northfield. Last years winner Norman Ziong has turned professional so come see who the new champion will be, and see the Western Amateur before it heads north to The Point O’Woods in Benton Harbor for 2019. ERIN HILLS has introduced a new drink that is a must on your next visit to the home of the 2017 U.S. Open. 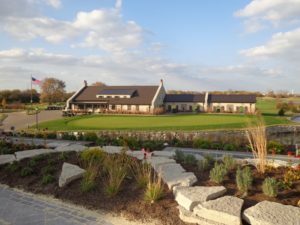 After your round of golf why not try the new Fescue Rescue, if you visit the Erin Hills website, visit the Blog section and read up on this new drink and you might even get the ingredients to try one at home before heading to Erin Wisconsin. Right now visit Erinhills.com and find out the remaining tee times before the golf season ends in Wisconsin, there is also a listing of off overnight accommodations still available. THE USGA has announced in conjunction with the 2019 U.S. Sr. Open at the Warren Course in South Bend, has named former Notre Dame football players Jerome Bettis and Tim Brown Honorary Chairman of the championship. the championship will be played from June 27-30. The Warren Course is located on the grounds of the Notre Dame Campus and is the first college course to host the U.S. Senior Open. 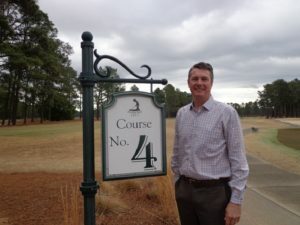 Tickets are now on sale for the championship at 2019ussenioropen.com/tickets/. 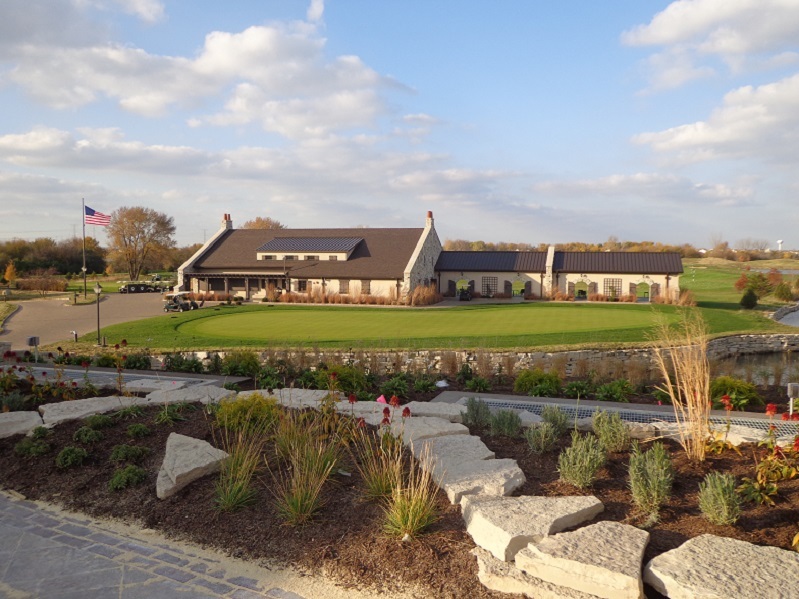 the 2020 Senior Open goes to Newport Country Club in Rhode Island, and in 2021 it goes to the Omaha Country Club in Nebraska, and Saucon Valley Country Club in Pennsylvania will host in 2022. 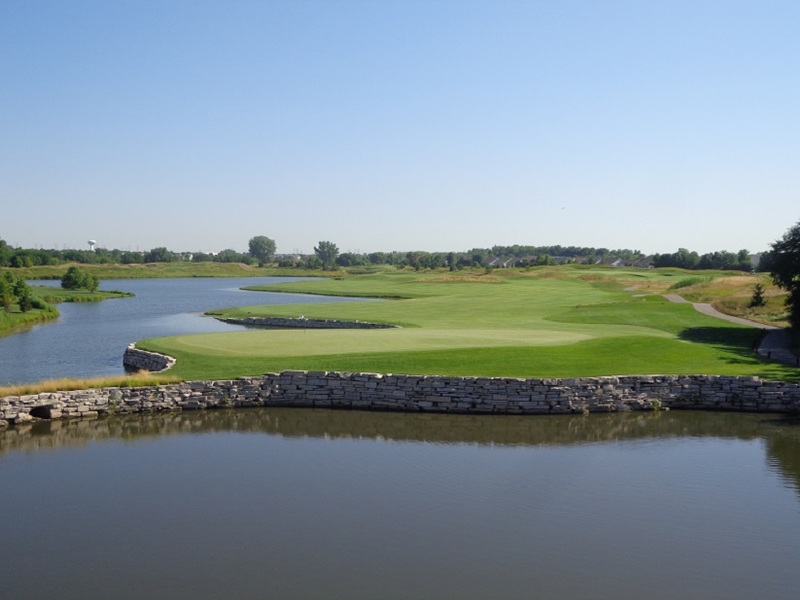 THE NEW SAGE RUN GOLF COURSE at the Island Resort and Casino is now open. Island Resort is located in the town of Harris in the Upper Peninsula of Michigan. 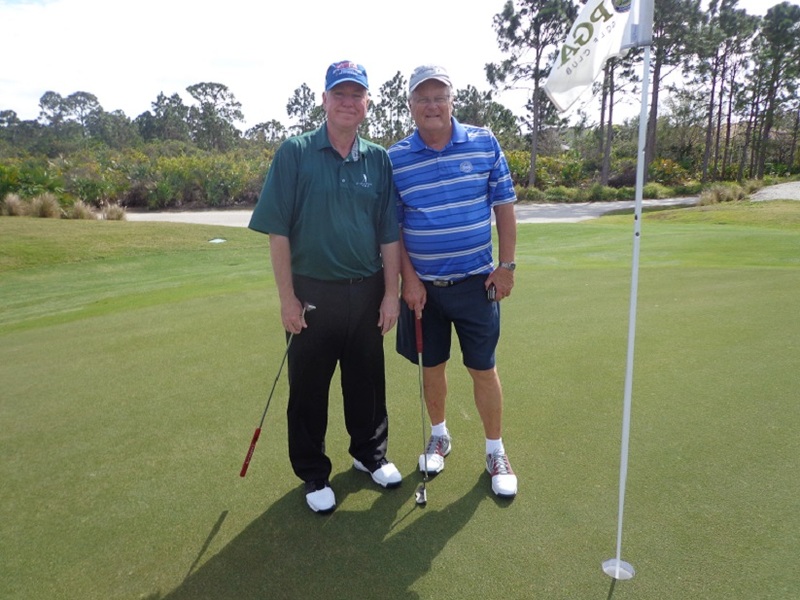 The course is the second course at the resort and was designed by Paul Albanese. 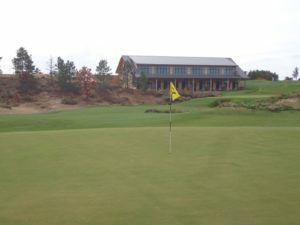 For more information on this brand new golf course, visit Islandresortandcasino.com. BGT=BreakthroughGolf Technology, has announced a new agreement with club fitters Club Champion, to help distribute it’s new Stability putter shaft that combines a new multi-material design. CEO Barney Adams has brought a well experienced team to BreakthroughGolf in growing the company based in Dallas. 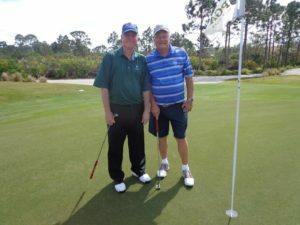 For more information on this new agreement, visit Club Champion or see Breakthroughgolftech.com. GOLFLOGIX app has launched a new dimension of bringing the reading of a green to your smart phone. Available in 3D color maps. GolfLogix putting logic into how and where you make that next putt. KOHLER GOLF and the American Club invite you to begin booking your tee ties and your golf trips to both Blackwolf Run and Whistling Straits for 2019. Get our and play Whistling Straits before tee time availability is reduced in 2020 because of the Ryder Cup. For details visit DestinationKohler.com or call the reservations number on the site. ANN LIGUORI the first lady of New York City radio golf, has a new golf show now on WFAN called Talking Golf. It airs 7-8 Am EST on Saturday mornings. So if your in New York City or want to listen to golf talk New York style and hear from the top names in the game. Check out Ann’s show on WFAN 660-AM. 80Breaker the creation of engineer Thomas Stewart who previously worked for a top level high-tech silcon valley design firm. Stewart came up with the name because of his quest to break 80 on the golf course, and one day he vow’s to get there. 80Breaker is an app that can be used by you or your golf course to do everything that is needed to be done on the golf course, from ordering food and drinks, improving pace of play, or just helping s golfer learn more about a new course that they have not played before. The new addition to 80Breaker is called “Beer Me”, it helps golfers summon the beverage cart instead of having to wait for an unknown length of time. Courses can track who needs beer and when. So if your phone or golf course needs the all purpose hot app see 80Breaker.com then look up golf course services. The Sunset Valley High;and Park District Course will reopen on Friday August 17th, will a special outing. First on the Turf will tee off is a fundraiser outing for the Junior Golf Program of the Highland Park Parks Foundation. 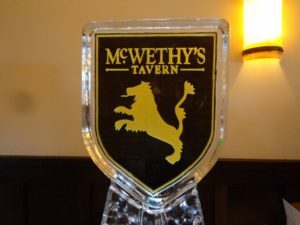 Lunch will be served at 11 AM with a special opening ceremony and then a shotgun start at 12:30, drinks and Appetizers will be served after the round. Details at PDHP.org to take part in this fun day of golf. The Sandbox at Sand valley is home to the Wisconsin Par 3 contest. THE SANDBOX AT SAND VALLEY will be home to the inaugural Wisconsin par 3 contest schedule for July 30th. The field will consist of 78 players on the course designed by Bill Coore, Ben Crenshaw and Jimmy Craig. All players will do one lap around the par 51, golf course and if needed there will be a sudden-death playoff to determine the champion. The championship is open to MALE amateurs only with a handicap index of 9.4 or better. Total yardage is 1,642 yards. Details at Sandvalleygolfresort.com. GOLFERS ON GOLF RADIO WEEK 15 with guest host Len Ziehm of the Daily Herald and Chicagoland Golf.. Golfersongolf.com by Rory Spears follow Rory on Twitter @GogBlogGuy., and on Facebook and Linkedin. At the PGA Village Golf Club in Port St. Lucie Florida. IT’S WEEK 15 of Golfers on Golf Radio, AM 750 WNDZ AM Chicago, and we are on the tee tomorrow morning (Sat) from 10-11 AM CST. Our Special guest host is long time golf writer and Illinois Golf Hall of Fame nominee Len Ziehm, of the Daily Herald, Chicagoland Golf, the CDGA Magazine and Lenziehmongolf.com. Our focus of the day is golf travel, and our guests include Brendan Sweeney of the French Lick Resort, Chris King of the Myrtle Beach world of golf, John Anniccharicco of the Salmander Resort Chain, and Dave Douglass from the Island Resort and Casino home of the new Sage Run Golf Course that just opened for play in the UP of Michigan. 10-11 AM we are on the tee, come join us and pick the place for your next golf destination trip. The 24th annual Phil Kosin Illinois Women’s Open at Mistwood. 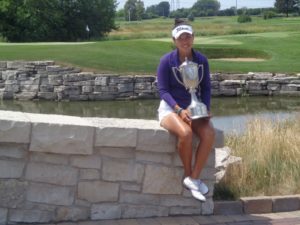 Northwestern University alum Hannah Kim shot a final round 5 under par 67, to cap off a record setting performance at the Illinois Women’s Open at MistwoodGolf Club in Romeoville. 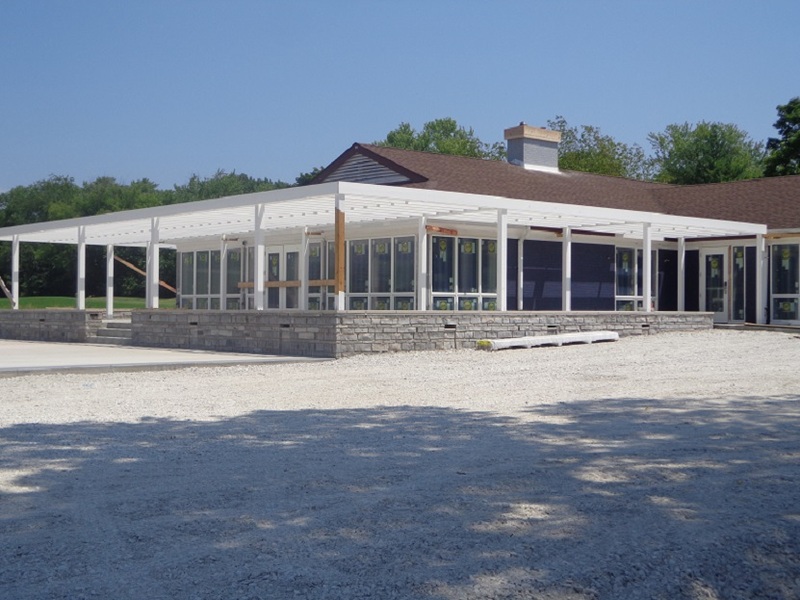 MISTWOOD IS CELEBRATING 20 YEARS OF HOSTING the Illinois Women’s Open. McWethy’s Tavern in the main clubhouse at Mistwood, is the best restaurant in the area. 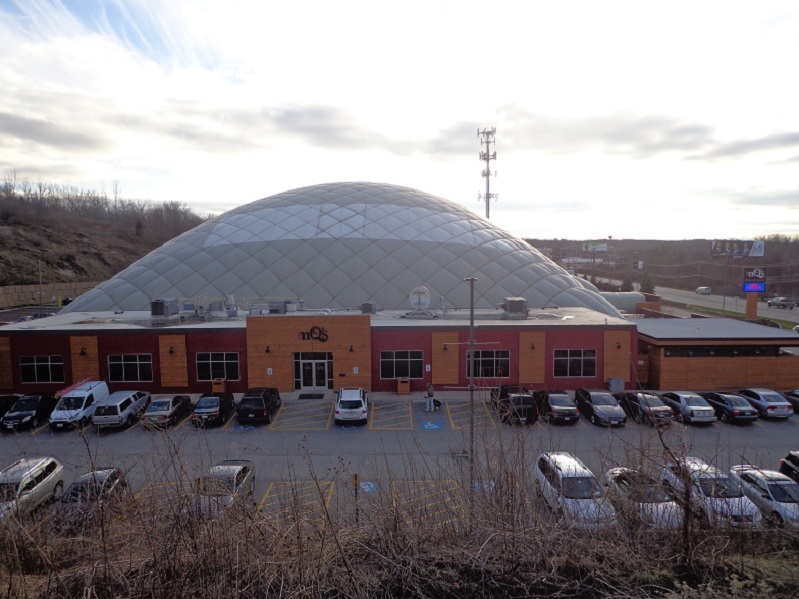 MCQ’S DOME IN BOLINGBROOK is part of Mistwood Golf, giving golfers a place to practice all winter long. Kim has played in the IWO for three straight years, she finished fthird in 2016m she was second in 2017, and she was first this year, making the third time the charm for her. In the nine rounds of golf at Mistwood that Kim has played in three years, she is now 26 under par. She collected the $5,000 for finishing first of the $25,000 purse. This was Kim’s third tournament as a professional, and according to her the first one she has done good at. Next stop for Kim is the Tennessee Open and then back to her home in California to begin her preparations for the LPGA Q-School that has it’s first stage in California. Kim while at Northwestern was a member of the 2017 National finalist team that competed at Rich Harvest Farms in Sugar Grove. For University of Illinois Jr Tristyn Nowlin it was her second, second place finish at Mistwood this year Nowlin was the runner up three weeks ago at the Women’s Western Golf Association national amateur championship in June.. Nowlin with a -10 score for the championship, received the low-amateur trophy. With her 10 under par score, she would have won every other Illinois Women’s Open ever played until today. Sara Burnham was third at 6 under par after a final round 68, that could have been 67 but her tee shot on the par 3, 17th hole hit the stick and left her a short birdie putt. Click here to hear interviews with Illinois Women’s Open Champion Hannah Kim, runner up Tristyn Nowlin, and defending champion Alexandra Farnsworth. was sixth after finishing at one under par. Farnsworth is making swing changes, and struggle with her wedges all week. Farnsworth was playing with her right wrist wrapped in tape as she recovers from a bout with tendonitis. The Gog Blog by Rory Spears, Director of Content and Creation Follow Rory on Twitter @GogBlogGuy, and on Facebook, Linkedin and bow Instagram. Two-time past champion Nicole Jeray was fourth, finishing at 3 under par, and is looking forward to the Milwaukee Symetra event, and playing at the French Lick Resort in October at the Senior LPGA Championship. Bobbi Stricker (daughter of Steve Stricker) made the cut on the number at +7, but alerted the pro shop 20 minutes before her 7 AM tee time in the final round, that she would have to withdraw for the tournament. There was not an announcement made on the dates for the 25th Annual IWO in 2019..